Ringworm infection is commonly known as dermatophytosis and is caused by a fungus. The infection starts with red patches on the affected areas of the skin which later spreads onto other parts of the body. This fungus is present in soil and can affect anyone. 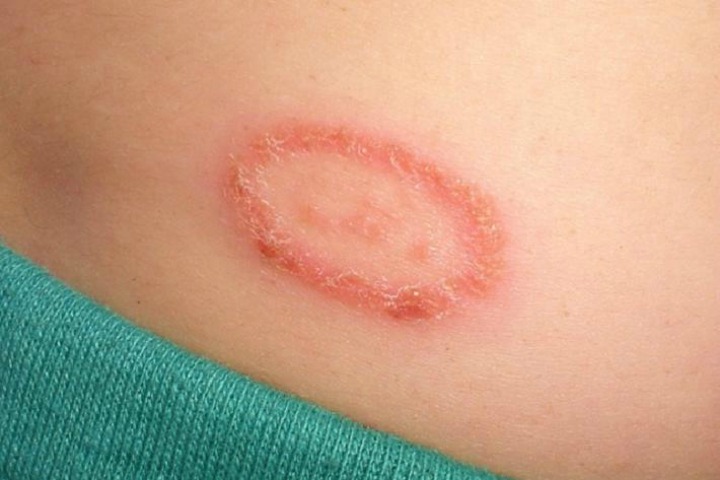 The infection is called ringworm because the patches form the shape of a circular ring. Although there are anti-fungal creams available for treating ringworm, the use of natural products possess lesser risks and provides better anti-fungal effects than chemical compounds which can prove harmful to the normal skin cells. Let us read to know some effective homemade methods to use apple cider vinegar for ringworm infection. 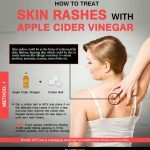 Does Apple Cider Vinegar Cure Ringworm? Apple cider vinegar has numerous health benefits including anti-bacterial, anti-fungal, anti-viral effects and acts as an analgesic in helping relieve pain. These properties help in curing ringworm. The main constituents of apple cider vinegar are acetic acid and malic acid that attribute to its medicinal properties and can help in curing ringworm. It is said to be a non-toxic and effective method to cure ringworm when compared to other over-the-counter medications available for ringworm treatment. Apple cider vinegar has proved effective in healing the skin from many bacterial and fungal infections. The procedure to use apple cider vinegar for ringworm is very simple. Mentioned below are the various methods one could Apple Cider Vinegar to cure ringworm. Have a look! Wash the affected area and rinse it gently before applying apple cider vinegar. Dip a cotton swab in apple cider vinegar and drain the excess liquid. Gently rub this swab all over the affected area. Leave it on for 20 minutes and then rinse thoroughly. Best time to apply: Morning and Night (Before bath). Repetitions: Follow the above remedy twice in a day. Make a paste of apple cider vinegar with table salt. Use this paste and rub it gently on the affected ringworm patches. This can be left on the skin for some time before washing. The application can be repeated as many times as desired. It is advisable to check the effect of apple cider vinegar on an unaffected area of the skin before using it on the ringworm affected area. If there is a negative reaction on the unaffected area, it is advisable not to use it on the ringworm affected area and instead consult the dermatologist to find a suitable cure. It is better to dilute the apple cider vinegar so that its high acidic concentration does not cause skin inflammation and irritation. Do not use if previous allergic reactions have occurred due to usage of ACV. How to Get Rid of Athlete’s Foot with Apple Cider Vinegar? 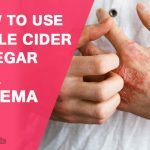 Apple cider vinegar for eczema: How it works and uses? How to Do an Apple Cider Vinegar Foot Soak?